Based on the recent actions of numerous entertainers, it would seem that cultural appropriation of minority groups is at an all-time high. However, this trend of cultural theft and corruption has been present in popular media for decades. While many people acknowledge the cycle of misrepresentation and have been vocal about this issue, far too many remain ignorant of the significant impact of appropriation. Cultural appropriation is defined as the adoption of another’s culture, typically without their permission. The appropriation of culture is almost always committed by a dominant group against an oppressed group of people; however, appropriation among different minority groups is also possible. Institutions have promoted systems of supremacy since the inception of this nation. Characteristics of our country—including patriarchy and racism—have guaranteed inequalities. The presumed inferiority of minority groups has constantly been exploited, often for amusement and profit. This cycle of ignorance perpetuates the appropriation by dominant groups that is so widespread. Whether it is in clothing, music, food, or other practices, far too often traditions and cultures are stolen and then corrupted. These actions reinforce historic stereotypes and silence authentic voices from being heard. Historically, entertainers in the U.S. have blatantly stolen styles from institutionally oppressed peoples. This is especially true in the case of white musicians adopting the musical style of their black counterparts. This is extremely problematic in that the black artists who originally wrote and produced unique sounds were never given their due credit (or royalties). White musicians—Elvis Presley being a major culprit—went on to achieve great success and earned great praise for their art. While achieving their own success, black musicians such as Chuck Berry and Jimi Hendrix never received the same amount of widespread recognition or credit for their influences on other white artists. This cultural theft denies the true originators of the music the opportunity to profit and thrive. In the U.S. particularly, the suppression of black freedom institutionally has created pain unimaginable to other races. Music and art has consistently been one of the few ways that this can be expressed. When their art is stolen, misrepresented, corrupted, and subsequently profited off of, a great injustice has been committed. Appropriation in music is unfortunately not a thing of the past—some would argue that it has actually become more widespread and normalized in music today. Artists from Eminem and Madonna, to more recently Iggy Azalea, Taylor Swift, Katy Perry, and Lady Gaga have been criticized for their appropriation or seeming “fetishization” of black, Asian, and Islamic traditions to name a few. 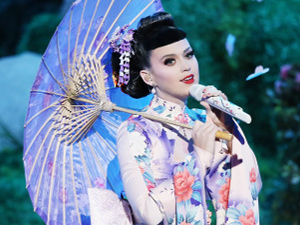 Recording pop artist Katy Perry was bashed for wearing what some call “yellowface” at the 2013 Billboard Awards. Dressed as a geisha, the entire performance was Japanese themed, upsetting many. Others maintained that the performance was simply a tribute to Japanese culture. In fact, Perry defended herself and argued that all she was trying to do was “just give a very beautiful performance about a place that I have so much love for and find so much beauty in”. But having love for a culture is not the same as having an authentic understanding of it. And understanding includes recognizing the stereotypes and generalizations associated with it. Perry’s unwillingness to consider the effects of her actions is precisely the issue with the performance. When she abuses her societal privilege as a white woman and associates geishas with unconditional love, she reinforces the patriarchal and Orientalist idea that Asian women are passive, docile, and childlike in their servitude to men. Rapper Iggy Azalea has also been a frequent violator, whether it is her strategic use of “blaccent”, or her use of cornrows as fashion in music videos. Despite the obvious issues with picking and choosing when to incorporate black culture into one’s life, it is clear that this convenient use of blackness signifies a true lack of understanding of what it means to be African American in this country. The privilege to turn on and off being black is something that is far too often abused. While many blacks practice code-switching in order to be afforded the same educational, workplace, and social opportunities as whites, Azalea, a white female from Australia, does not do it out of necessity for survival, but instead out of a temporary fascination with blackness. Additionally, Azalea’s silence when in the wake of issues regarding the black community, such as the deaths of Michael Brown and Eric Gardner, demonstrates what some may call a love for black culture but a disregard for black issues. It is for this reason that the nation has been so fascinated with the story of Rachel Dolezal, the former head of the Spokane chapter of the National Association for the Advancement of Colored People (NAACP). While she argues that her “life has been one of survival”, social media users expressed their anger at Dolezal’s deception and belief that one can essentially choose their own race. Olivia A. Cole @RantingOwl Again: There is a difference between identifying *with* a culture/race & identifying *as* that culture/race. #RachelDolezal wants ownership. Sophia A. Nelson @IAmSophiaNelson For those defending #RachelDolezal black women are NOT “things” to be impersonated. We are people. It trivializes our story to support her. Unlike blacks, white people in the U.S. have never been institutionally oppressed and systematically disadvantaged based on race—therefore, Dolezal’s identification as a black woman does not stem from a need to be accepted socially, or to advance economically. Rather, her impersonation of a race other than her own is not unlike wearing a costume—she can take it off whenever she pleases and abstain from the real discrimination that comes with actually being black in America. Criticizing cultural appropriation by dominant groups is, however, in no way an argument against an exchange of ideas and traditions. In fact, dominant groups should be in solidarity and support of minority rights, especially when their cultures and freedoms are threatened. Nevertheless, the basic foundation of this exchange must be humility and respect. There is a fine line between allyship and ownership, and this line must be acknowledged and respected. Whether in demonstration or in speech, white privilege, male privilege, Christian privilege, or any other kind of social privilege including that of ability, gender, and sexual orientation must be recognized. Because these dominant groups cannot directly identify with the struggles of being an oppressed American group, it is important to let marginalized voices speak and actually be heard. While the appropriation of black culture is perhaps the most widely discussed and criticized, there is also widespread appropriation of less vocal minority groups. Artists like Selena Gomez have been accused of appropriating South Asian cultures, while celebrities including Khloe Kardashian and Lady Gaga have misrepresented Islamic clothing. While these cultures do not have the same history of slavery, Jim Crow, and police brutality in the U.S. as African American culture has, they are nevertheless minority groups whose traditions cannot be stolen and corrupted. Additionally, the ignorant adornment of these symbols belittles the social, religious, and cultural significance of their uses. For example, the blind use of the bindi, a forehead decoration worn throughout South Asia, simply for fashion purposes takes away from the sanctity and holiness of the object to many women. However, stars including Vanessa Hudgens and their loyal followers carefreely don the bindi at music festivals without acknowledging the meaning behind it. Huffington Post writer Anjali Joshi, however, argues that many Hindu women today cannot themselves correctly describe the historical significance of the bindi, so it’s no surprise that the decorative object has evolved to a fashion piece in different colors worn by married and unwed women alike. While Joshi personally does not find this offensive, ignorant fetishization of cultures cannot simply be forgiven or deemed acceptable by individuals who identify with that culture. History has affected more than just feelings. White superiority has been enforced by violence, through education, and more commonly today in popular media. In the same way that the appropriation of Hindu culture deprecates the meaning of the bindi, the sexualization and use of Islamic clothing designed for feminine modesty contradicts its intent. There are many reasons that some Muslim women choose to wear the hijab, niqab, abaya, or any combination of the three. Among these include encouraging society to recognize a woman’s intellectual abilities. When non-Muslim women fetishize this type of clothing and misrepresent it by sexualizing and wearing it for fashion purposes, it corrupts its actual significance. Lady Gaga has continuously misrepresented the burqa as both a sexual piece of clothing, as well as a fashion statement. Criticizing Gaga’s song “Aura”, Washington Post contributor Umema Aimen argues that Gaga eroticizes the burqa by creating a fantasy of what is underneath it. In turn, her lyrics hypersexualize women who wear it, rather than maintain the private intimacy that many Muslim women who cover seek to maintain. Zayed Grand Mosque in Abu Dhabi. In the cases of Selena Gomez and Khloe Kardashian, many social media users have contested that the stars are simply respecting the culture and religious traditions of the country they are visiting. However, the issue comes back to the ignorance of the culture they claim to be respecting. In a picture from a trip to an Abu Dhabi mosque, Gomez clasps her hands together, apparently confused as to which culture she is appropriating. 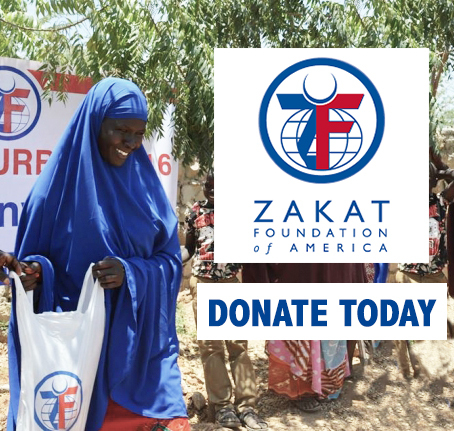 American Muslim women face incredible discrimination in schools and the workplace, and sometimes even face violent hate crimes in the post-9/11 world. For many American women, wearing the hijab is not a costume, and is instead a sacrifice made out of a deep commitment to their faith. Wearing Islamic clothing without understanding its purpose or implications for actual Muslim women is shallow and insensitive. An even more alarming consequence of cultural appropriation is the violators’ frequent tendency to become defensive and dismiss any racist intentions. The problem is often the misrepresentation truly isn’t malicious—it stems from blatant ignorance. But in a world of rapid information accessibility and sharing, ignorance cannot be used as an excuse to further exploit minorities. While there is both hope and an expectation for younger generations to be more progressive and aware of racism via appropriation, one of the most significant vessels of cultural misrepresentation today is through Greek life on college campuses. Fraternities and sororities have been historically exclusive to white males and females of a higher economic class. While Greek organizations have become somewhat more inclusive over time, the foundation of the Greek system remains very selective, which leads to frequent offenses towards minority groups. 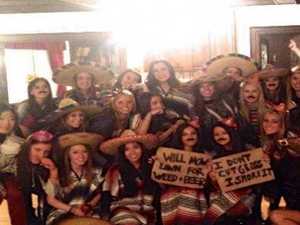 Fraternities and sororities in the past decade alone have hosted race themed parties, usually attended by white students. For black themed parties, stereotypical foods such as fried chicken and watermelon are served, while at Mexican themed ones, plenty of mustaches, sombreros, and ponchos are to be found. The racist sentiment of many Greek life parties are highlighted in the 2014 motion picture Dear White People, proving how cultural appropriation remains prevalent in our society today. So then, where do we draw the line? Is any misrepresentation of a culture something to be avoided? If this is the case, many would demand a boycott of the Chipotle restaurant chain, eating sushi, wearing Aztec tribal print, or practicing yoga. Whatever the case may be, it is important for individuals to remember to be respectful and humble, and consider how their seemingly harmless action can corrupt an already marginalized group. We should all take it upon ourselves to be self-critical; at what cost are we fulfilling our curiosities? Understanding how cultural appropriations can reinforce ongoing historic oppression and inequality can be a significant step forward that to be more conscious of, and rectify, our individual and collective actions. Hanan is a Government Affairs Intern at CAIR-Chicago. She is originally from Gurnee, Illinois and attends school in Los Angeles. She is a sophomore at Occidental College majoring in Diplomacy and World Affairs. She enjoys studying languages and speaks Spanish. She is also currently studying Arabic and plans to concentrate her studies on the Middle East. Upon graduation from Occidental, Hanan plans to attend graduate school, studying either International Relations or Law. She hopes to be involved in non-partisan development, social justice, or human rights work in the future. Out of the whole article, you decide to say “srew what she’s writing about,i’m gonna tell her off for that Elvis reference because he’s a blessing.” You are absolutely right Ms or Mrs.Mohamed, ignorance should not be an excuse, but are we really going take stupidity out of the question? I definitely agree that cultural appropriation runs rampant in today’s society and needs to be stopped. It’s important that people respect the cultures they admire and understand the history and struggles of those they seek to learn from. I think celebrities play a big role in how these trends are exploited and that celebrities like Selena Gomez do seem to get it wrong. On another note, the paragraph about Gomez’s and Jenner’s visit to the mosque in Abu Dhabi implies that by wearing the hijab in the mosque, they were disrespecting Islamic culture. However, if you take the time to look at any website or guide about proper etiquette when visiting a mosque in the Middle East, it will mention that appropriate clothing includes clothing that covers arms (at least to elbows) and legs, as well as a headscarf. So I think the author could have found a better example to prove her point, as they were simply showing respect in a religious institution. Asalaamu a laikum, Ms. Mohamed. Just a quick comment. I enjoyed reading your article. I too believe it is not easy to strike the appropriate balance between cultural appropriation and cultural respect (i.e., a non-Muslim woman, for example, wearing a hijab when visiting a mosque vs. using a cultural stereotype for profit). I would also like to say that I do not agree with the statement that “white people in the U.S. have never been institutionally oppressed and systematically disadvantaged based on race.” Simply put, if you are not someone of means in the U.S., it doesn’t matter what color you are, you are being institutionally oppressed and stereotyped. More and more people of all races and colors are finding it difficult to survive in America based on lack of jobs, lack of educational funding, lack of health services for the disadvantaged . . . I could go on. Believe me Ms. Mohamed, even white people face discrimination every day. Just ask any white person that is not a person of means if they’ve ever been called a hillbilly. Finally, many of us are 2nd or 3rd generation persons whose grandparents or great grandparents immigrated here for exactly the same reason that all immigrants do. In my case, my people came to the U.S. from Ireland where they were persecuted by and warred with the British people for approximately 800 years. They were forced to live in tenements, at times 12 people to one room with no heat or running water. No jobs or food either. There were signs in the windows of stores that said “No Irish”. In the newspapers of the time, the Irish were depicted as apes in cartoons. To this day we persons of Irish descent are still stereotyped as loudmouth drunks who do nothing but fight. That didn’t feel too good. She didn’t even know me. Hi Hanan Mohamed, Thanks for sharing with us about the different culture in the world. Islam is never support western culture. We live in a time in which, for many people, western culture has become the most important aspect of life indeed it would not be far-fetched to state that many people today worship entertainment and entertainers. I know this is an old article but as a minority myself I feel you ignore the rampant cultural a appropriating that takes place in hip-hop culture. Many black artist blatantly appropriate cultures that they have absolutely no connection to, wether it’s Beyoncé dressing in Hindu dress or the much more offensive songs like “Arab Money” by Busta Rhymes. 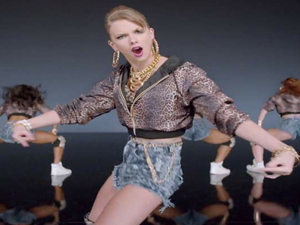 Hip Hop has a long history of appropriating Asian & Middle Eastern culture in an unacceptable way. So when discussing American cultures history of appropriation it’s naive to claim it’s only a white phenomenon because it’s just as bad for a black entertainer to do it as it is for a white one to do it.